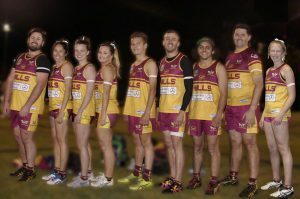 The Vawdon Cup is a weekly representative competition conducted by NSW Touch. Games are played throughout the Sydney Metropolitan area catering for Open, Senior & Youth divisions. The competition has 12 rounds and a final series. Played weekly between late August and early November this competition has a prestigious 35 year history in Sydney. With teams representing affiliates as far away as Penrith, Liverpool, Wollongong & Central Coast as well as everywhere in between, the Vawdon Cup puts you up against some of the best players in the Country. The competition is however still split into skill based divisions so even a beginner has a place to get started. The club has fully accredited coaches in charge of each squad which will help improve your knowledge and skills. Trials and training usually commence in early May. Vawdon Cup Squads Announced- The Hornets are proud to announce the initial squads for Vawdon Cup 2016.